Today I wanted to share a really simple recipe I tried out yesterday. It was REALLY good and didn’t take long at all. 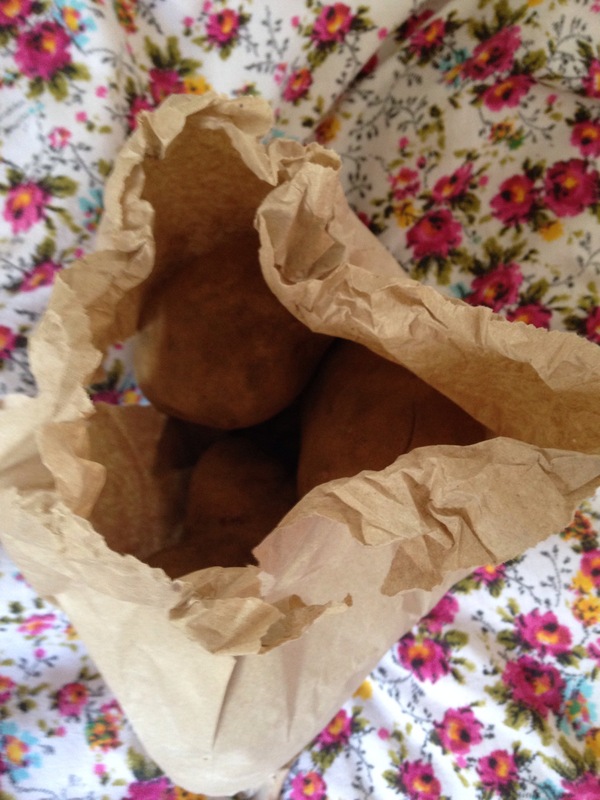 (Frying the gnocchi instead of boiling was an idea I had while reading this blog post on One Green Planet. My recipe is not exactly like this one, but it is where I got my inspiration so go check it out if you’re curious – their recipe is for mushrooms, asparagus and brussel sprouts whereas I just used what was in my fridge at the time). Heat a little oil in a frying pan and, once it’s hot, add your gnocchi (make sure you keep them as separate as possible). Stir occasionally and cook until they are lovely and brown and crisp. While the gnocchi is cooking, peel and crush your garlic and wash and chop your mushrooms. I used a whole pack of mushrooms because they were all I had (and I just love mushrooms) but if you want to add other veggies then adjust your quantities according to your preferences. At this point I also rinsed the spinach. When the gnocchi is cooked, remove it from the pan and add the mushrooms and garlic instead. Cook them through and then remove from the pan also. Add your spinach to the pan and leave to wilt a little. Then add everything back into the pan, season (I just used black pepper and a tiny bit of salt but you do what herbs and seasoning you like best/have to hand), and plate up. I grated some cheese on top but you can leave this out if you prefer. 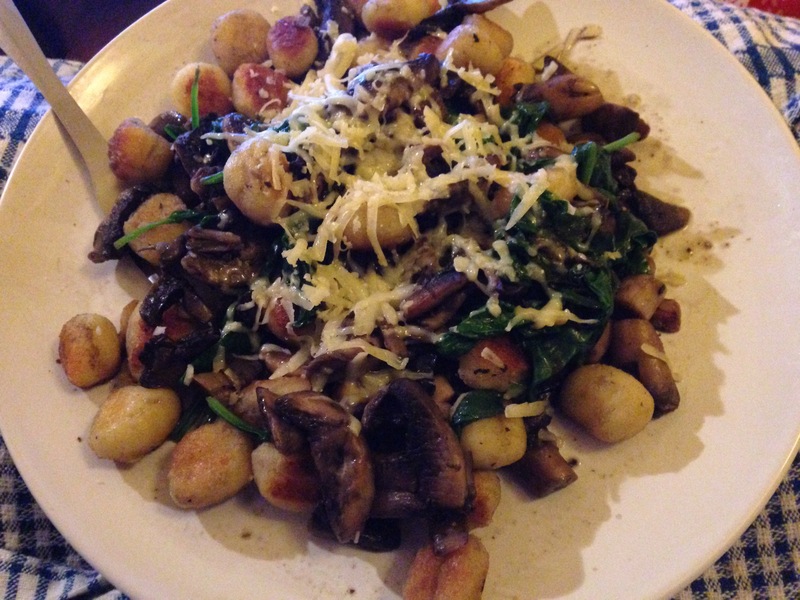 This dish is easily made vegan by leaving off the cheese (or using vegan cheese) and ensuring your gnocchi is vegan. You can add any vegetables you want to this, just make sure everything is cooked through before you serve. And that’d it’s! I hope you enjoy this recipe, and let me know in the comments if you try it and what you think of it. 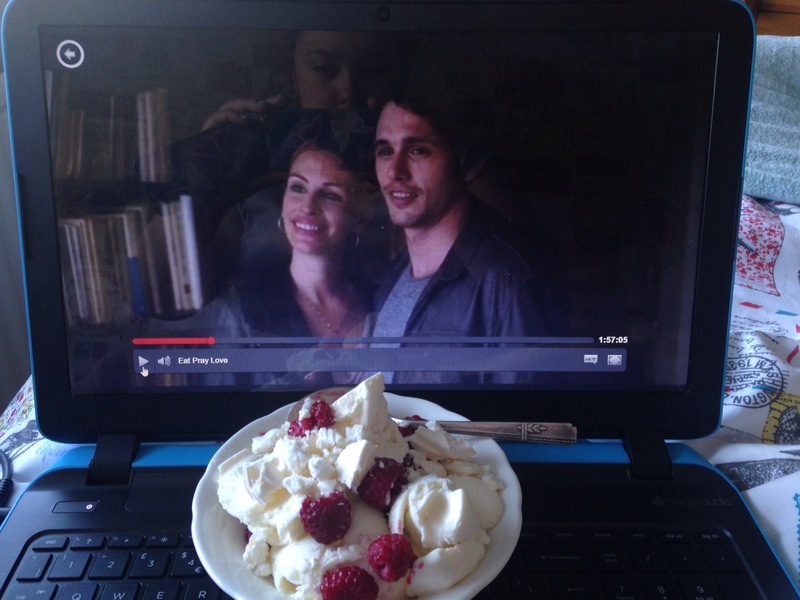 So I spent my evening watching Eat Pray Love on Netflix and eating my take on a mini pavlova. I’m wearing trackies (sweatpants to you non-Brits) and my bedroom windows are wide open. It’s a beautiful evening, blue and clear and warm. After the film has ended, I think I may read the book (for the tenth time). Place a meringue best (ready made or homemade) in a bowl and top with plenty of fruit. I used frozen raspberries (my favourite berry) but you can use any kinds of fruit or berry, fresh or frozen. I put a few good scoops of vanilla ice cream on top of this (again you can use any flavour but vanilla goes with everything I think) and put a few more berries on after. Finish by crumbling half a meringue nest over the ice cream. 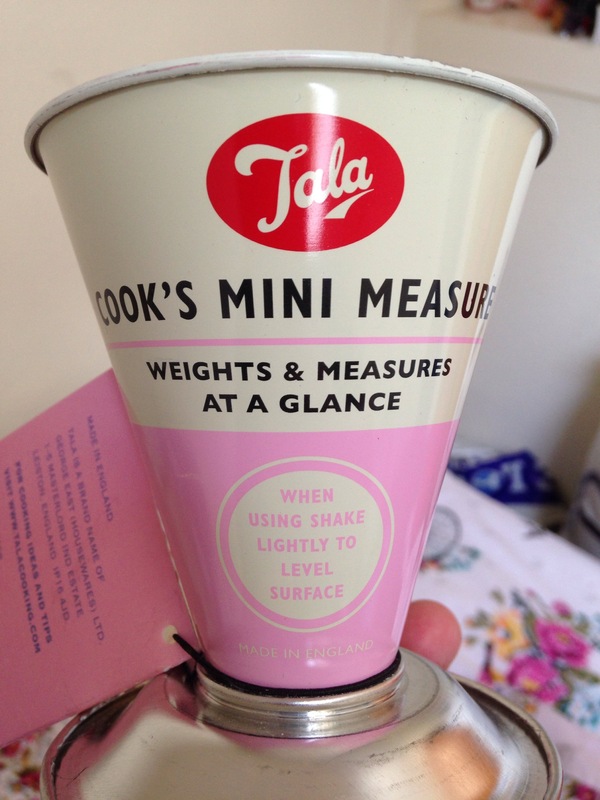 This was £8 from John Lewis and it’s a measuring cup with EVERYTHING (well…almost everything) written on the outside. 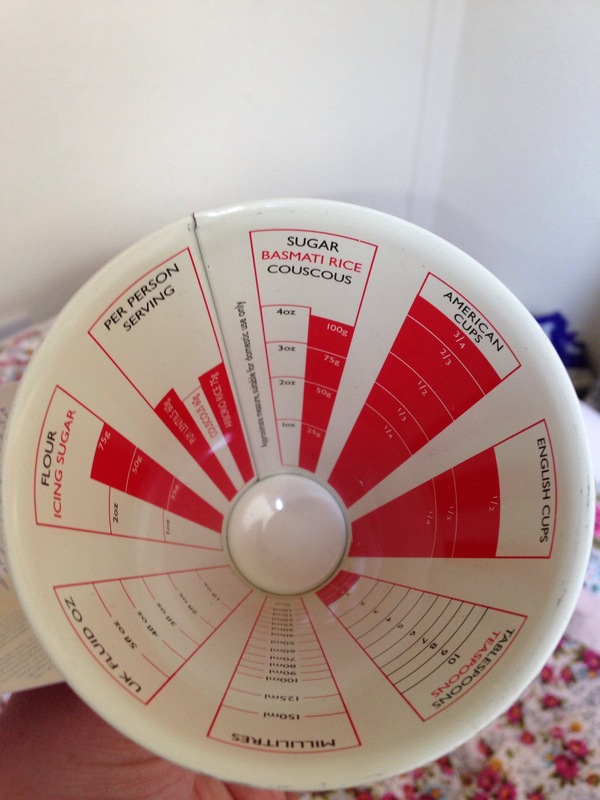 It has individual portions for couscous, a rice measure, British and American cup measures, teaspoon and tablespoon, flour and sugar measures and ml measures. It’s so cool! And it means I won’t have a load of cups lying around my new flat. This is the mini measure but there was another measure too and I’m thinking of getting that when I come back as well. 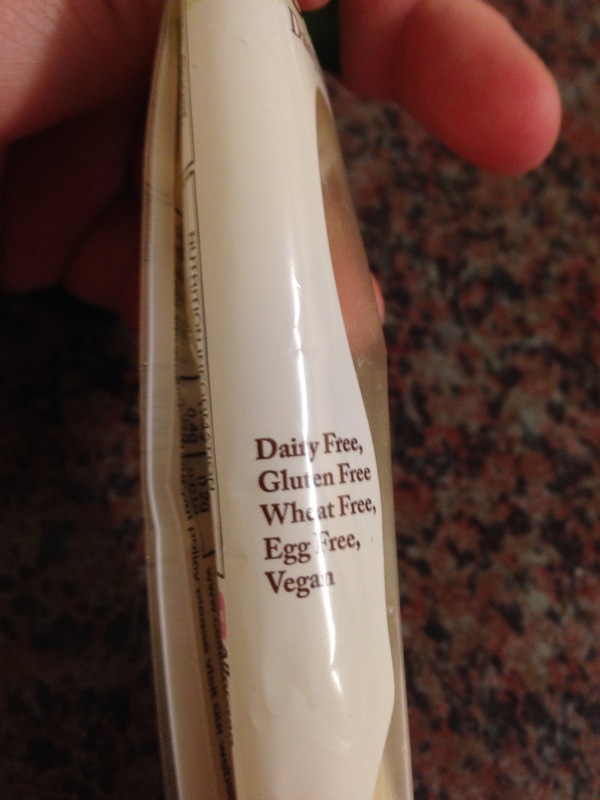 The next thing I got was Egg Free Mayo. They had a variety of choices – original, garlic mayo, chilli mayo – but I went for this tarragon and chive mayo. 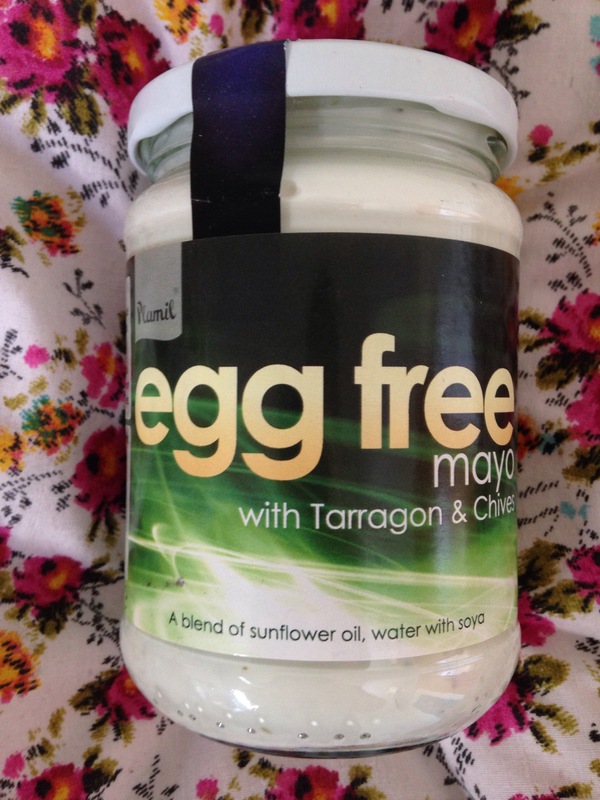 It was £2.26 for the jar and I got it because I was curious to see how vegan mayo compares to regular mayo. Let me tell you, I was NOT DISAPPOINTED! The herbs gives this one a really nice flavour, and I bet the original would taste exactly like regular mayo. 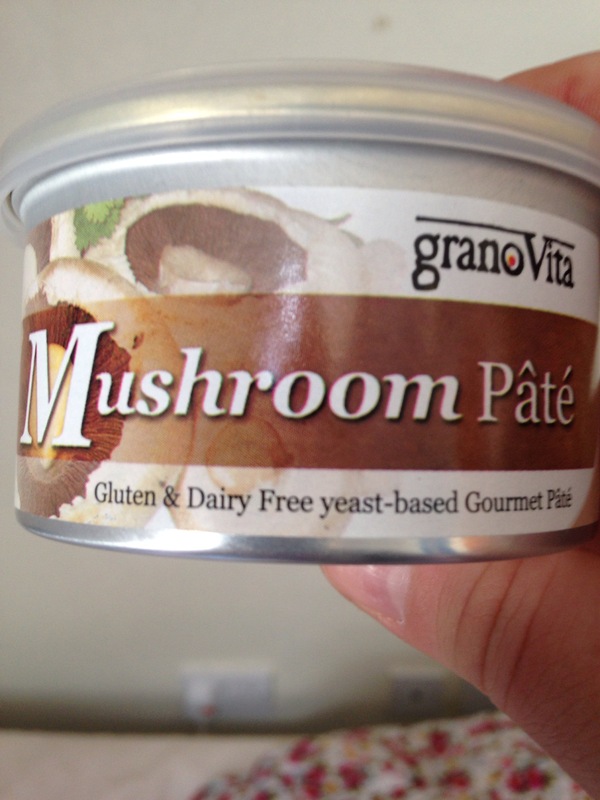 The third food item I got was a mushroom pate. Pretty self explanatory really. It was £1.63 for the can, and it’s gluten free as well as vegetarian. 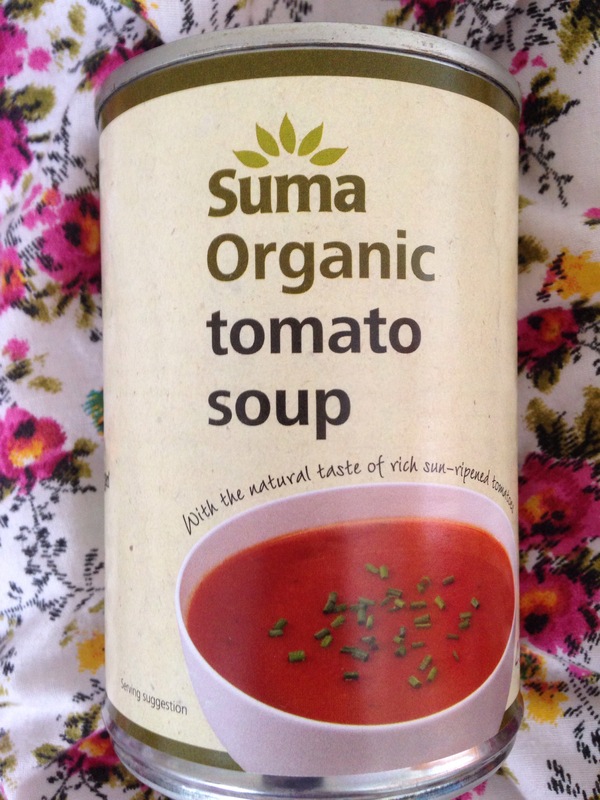 Next up is my Organic tomato soup. I love soups and this looked really nice. The normal price for a can is £1.29 but it was on offer for 86p. I also found Fishless Fingers in this shop. 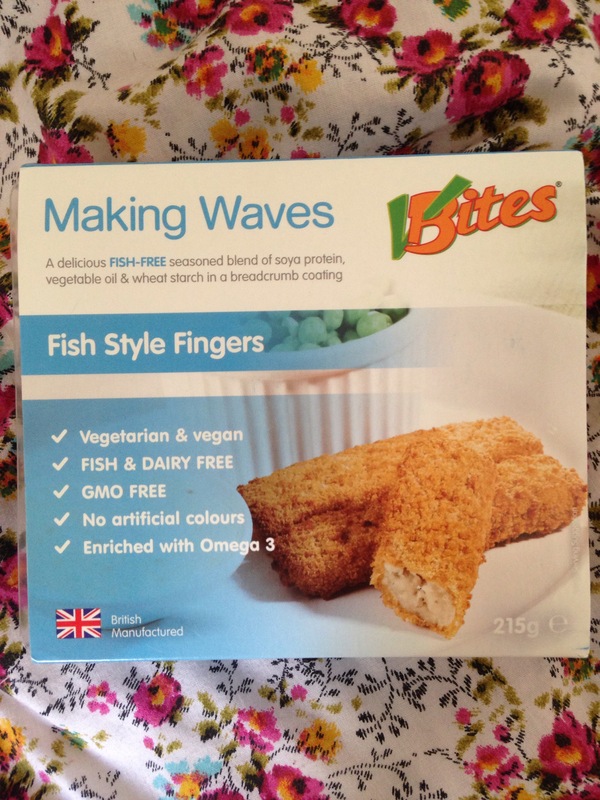 Now, I’m a pescatarian so I do eat fish but these looked intriguing so I thought I’d buy a pack and see if they were as good as regular fish. They were £2.99 which is pretty pricey really for 6 fingers. I’m not sure if I’ll buy these again, we’ll just have to see how they taste! 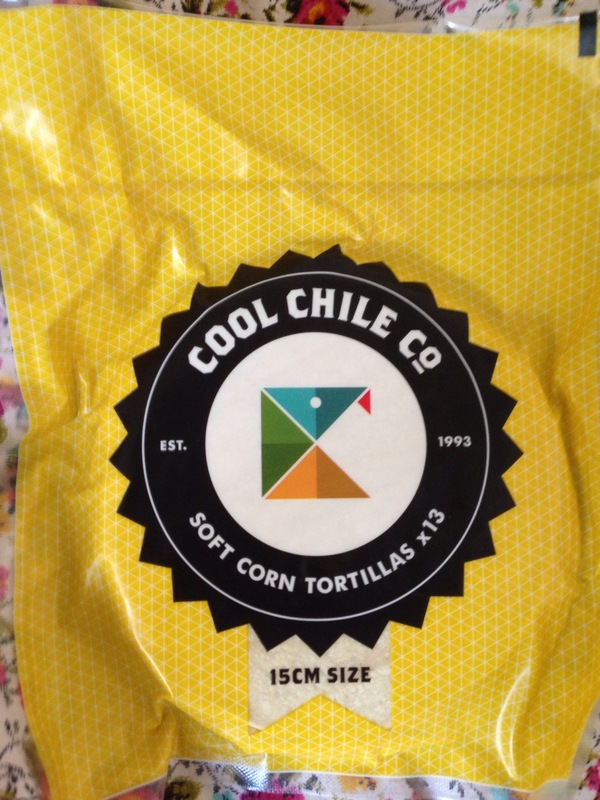 And finally, I bought some corn tortillas, £1.99 for 13 tortillas. When I first tried these I thought they were horrible, but that was only because I made the mistake of thinking you could eat these cold like normal tortillas. You HAVE to heat these (20 seconds each side in a dry frying pan) and once you do they are DELICIOUS! So that’s it folks, my last food haul before I go home for a month and a bit. 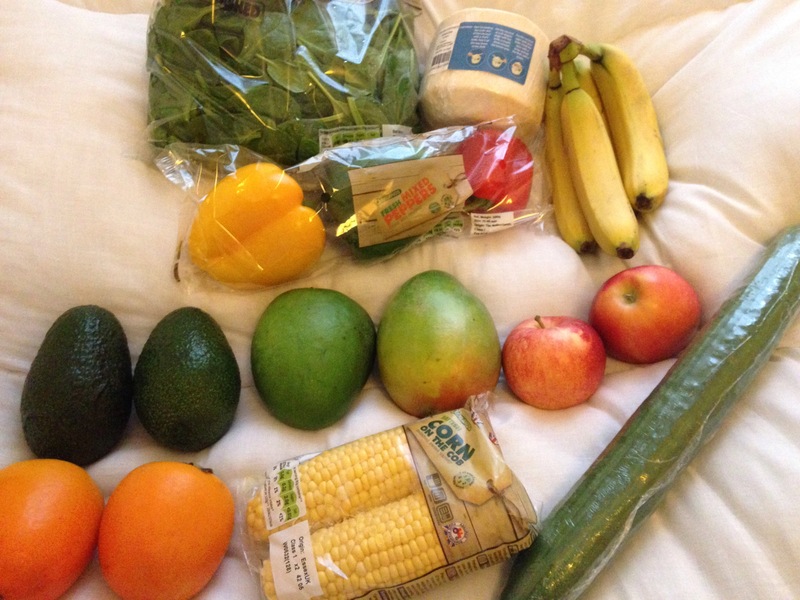 I spent £10.89 in Real Foods, and £8 in John Lewis. Are any of you guys vegan or vegetarian? 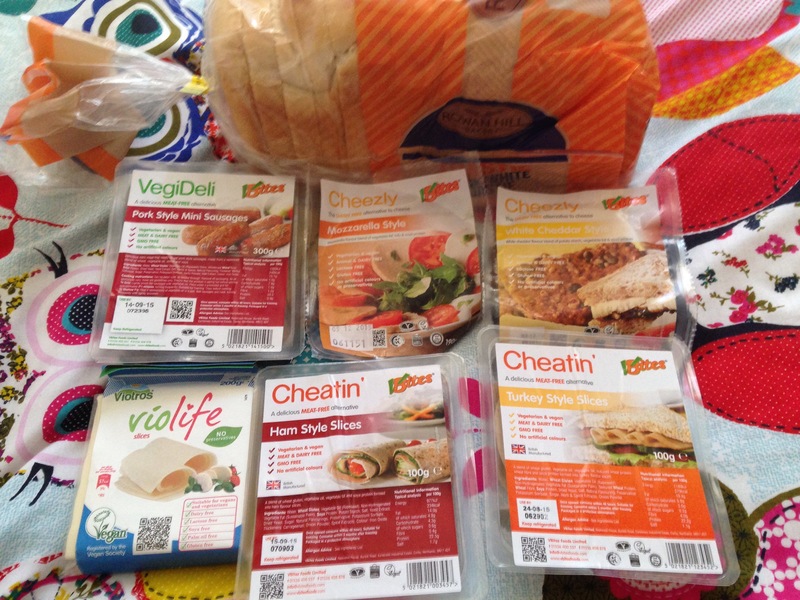 Have you tried any of this food? From what I’ve tried so far I’d DEFINITELY recommend the mayo and the tortillas. Hope you enjoy! As most of you probably know, I’m a pescetarian so I do eat normal chocolate (the only dairy product I don’t consume is milk – I drink soya milk or coconut milk) but I saw these vegan dairy free chocolate bars on offer and thought I’d try them out. I say “on offer” because each bar is usually £1.10 which is CRAZY! No way would I pay that! However, the ones I got (4 of them) are broken and so they were on sale for 30p each. I’ve never tried any sort of dairy free chocolate before so I’m pretty excited! The chocolate has quite an odd flavour – not unpleasant, just different to anything I’ve eaten before. 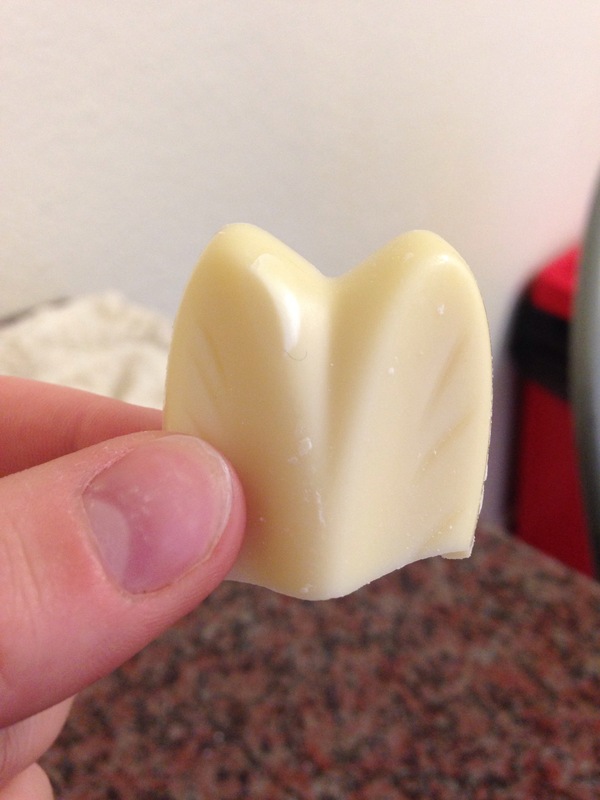 The texture is very smooth but not as creamy as regular chocolate. I’m torn on this one. On the one hand, it doesn’t taste bad and I’m sure if I were vegan and this was the only chocolate I ate I’d soon get used to it. On the other hand, I don’t find it as nice as regular chocolate – not even close, really. 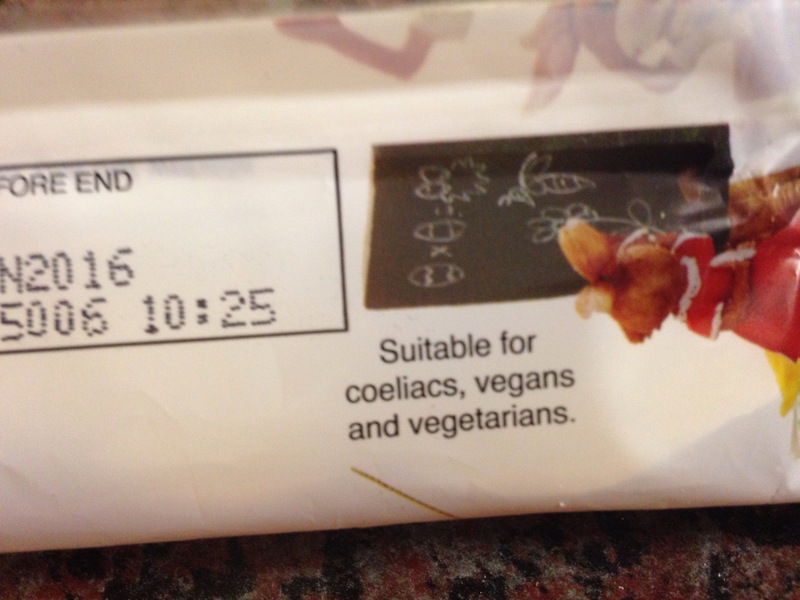 I’ll eat them because I’ve bought them, and yes I will enjoy them, but would I buy them again? Maybe not. Would I buy them at full price? Definitely not! In short, I much prefer regular chocolate. However this isn’t bad, and if I found another brand of vegan chocolate somewhere I’d definitely be convinced to try that too. 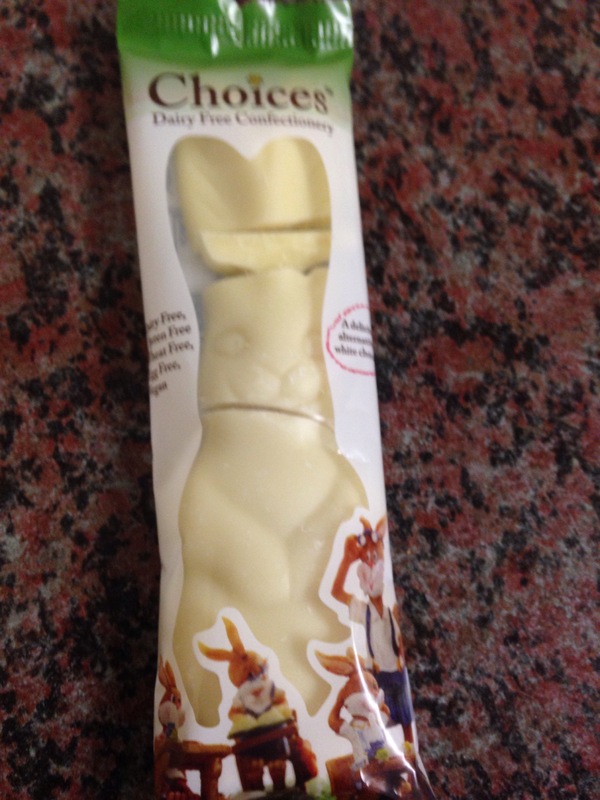 And maybe it’s just the white chocolate, which sometimes isn’t as good as milk chocolate anyway? There was milk chocolate in the shop, maybe I’ll try a bar of that next time and see if I like it better. Have any of you guys tried vegan chocolate? Is it just this brand that isn’t as good? Am I missing a gem of vegan chocolate somewhere? If you have any recommendations for me then please leave me a comment! 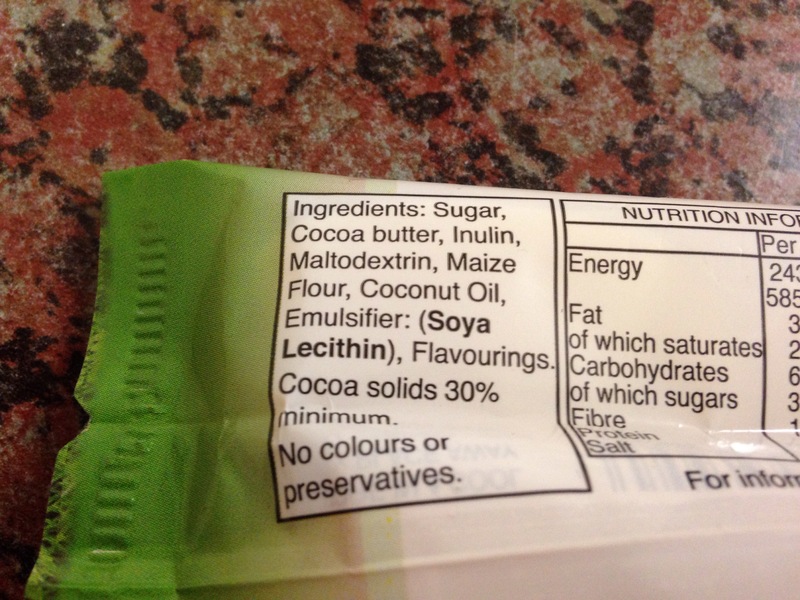 *Disclaimer: I bought the chocolate with my own money, from the “Free From…” section of Sainsburys. These opinions are purely my own, and I mean no disrespect or offence to anyone.